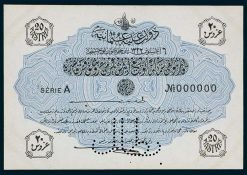 Welcome to osmanlikagitpara.com which offers exclusive access to specimen banknotes from the “State Ministry of Finance Collection”. 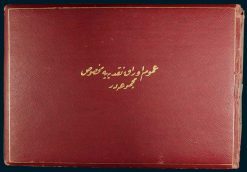 The collection was discovered in Australia in 2016 still housed in its original crimson leather bound album which had been hidden away for three generations by a Turkish family with strong government ties. 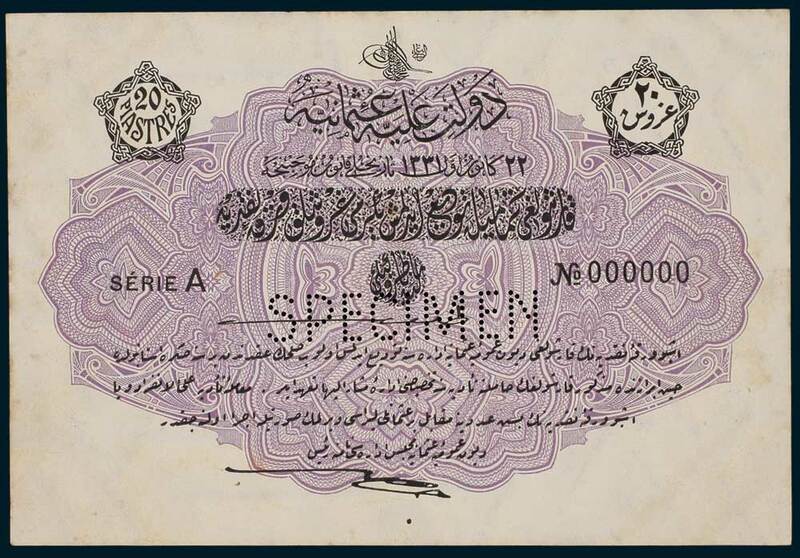 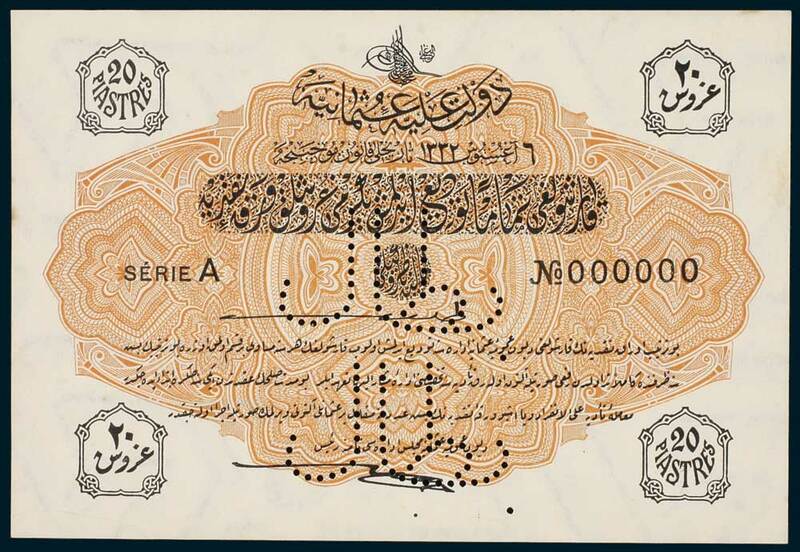 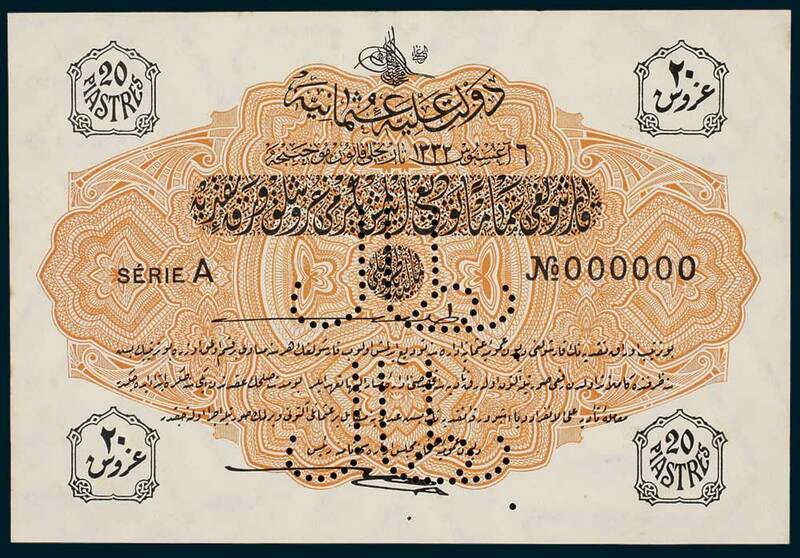 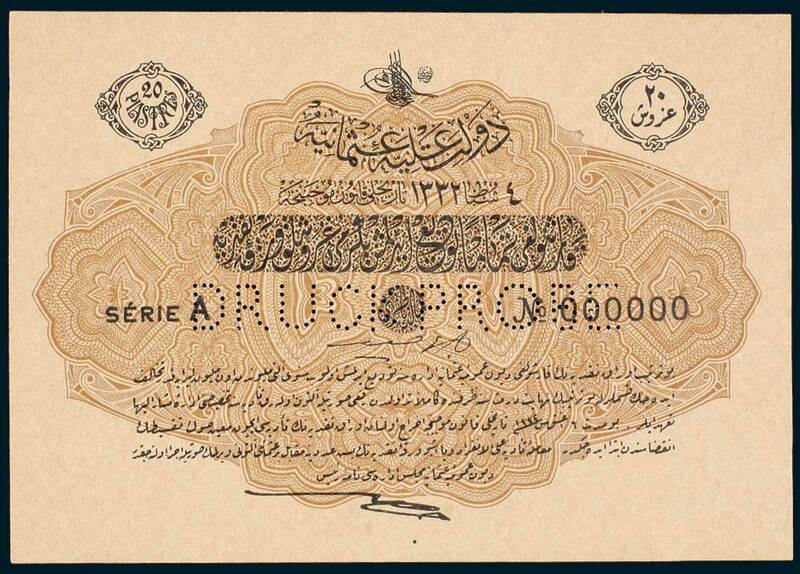 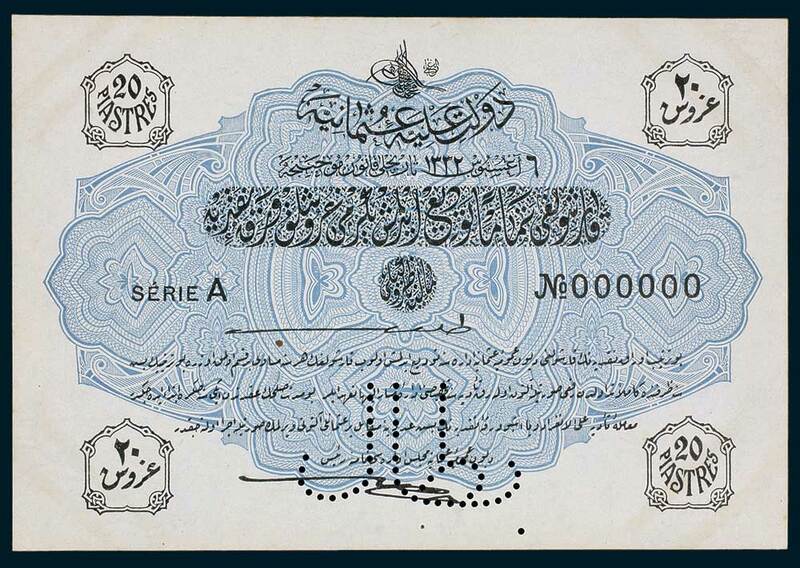 The Ottoman Empire Banknote Collection offers a once-in-a-lifetime opportunity to purchase rare specimen banknotes never before available to collectors. 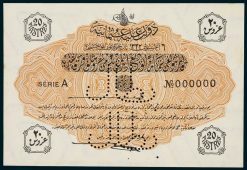 These emergency issue notes were released from 1915 to 1918 in seven emission groups and were backed by the Treasury Bills of Germany, Turkey’s World War I ally. 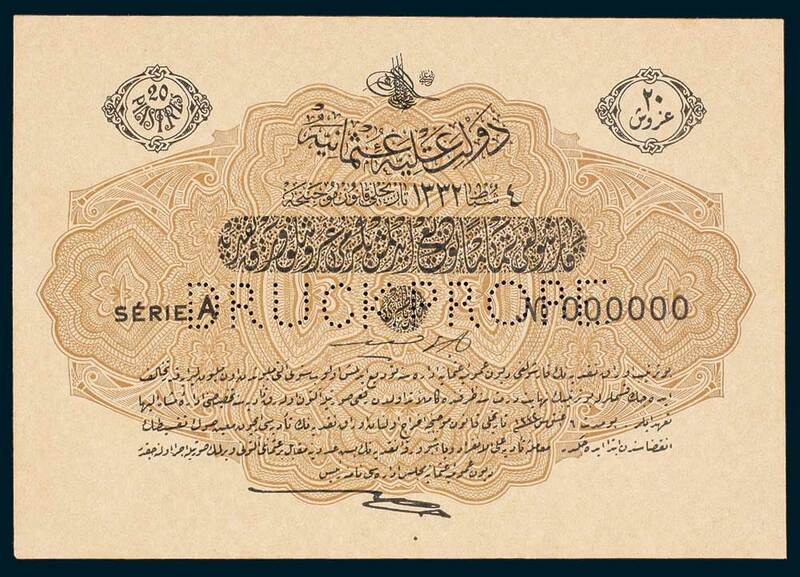 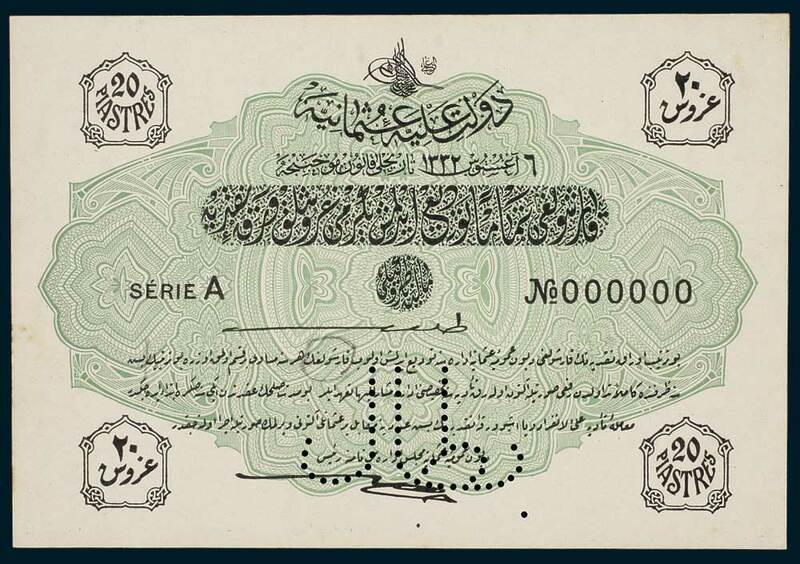 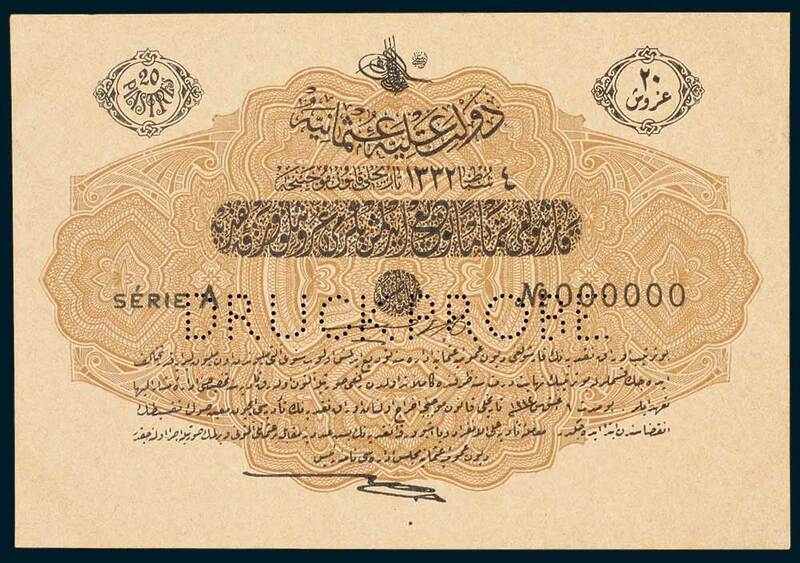 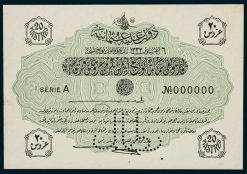 After the war, and the collapse of the Ottoman Empire, they continued to circulate as currency under the authority of the Turkish Republic until December 1927 when new banknotes were issued.